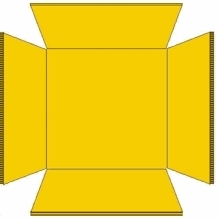 If you want to maintain your top-quality equipment, you need equally capable storage solutions. 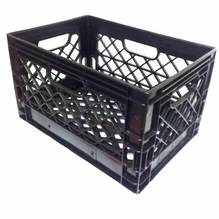 At BarnDoor Lighting, we offer a variety of affordable grip storage crates to ensure your lighting and grip equipment stays safe and protected. 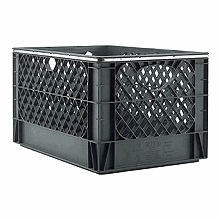 With these sturdy dairy crates, storage is easier than ever. 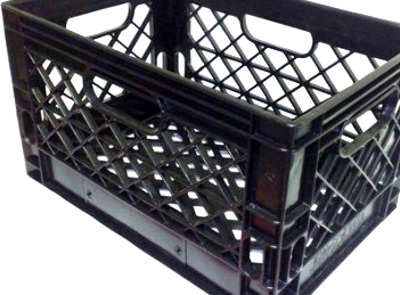 Stack your lighting grip milk crates up in order to save space. Use the handles for easy transportation to various shooting locations. 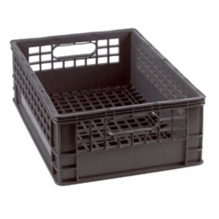 We even offer milk crates storage liners that offer added protection, and our bin liner prices are affordable for professionals trying to stick to a strict production budget. BarnDoor Lighting is here for all your lighting, electrical and grip needs. In addition to our selection of quality products at great prices, we offer top-notch customer service and personalized, expert advice that's unlike what you'll get from other online retailers. We're here to answer all your questions and make sure you get the right products for your needs. 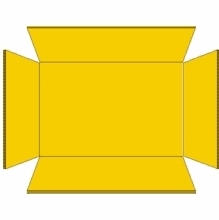 Just give us a call at 1-888-276-3667 or send us an email info@barndoorlighting.com.